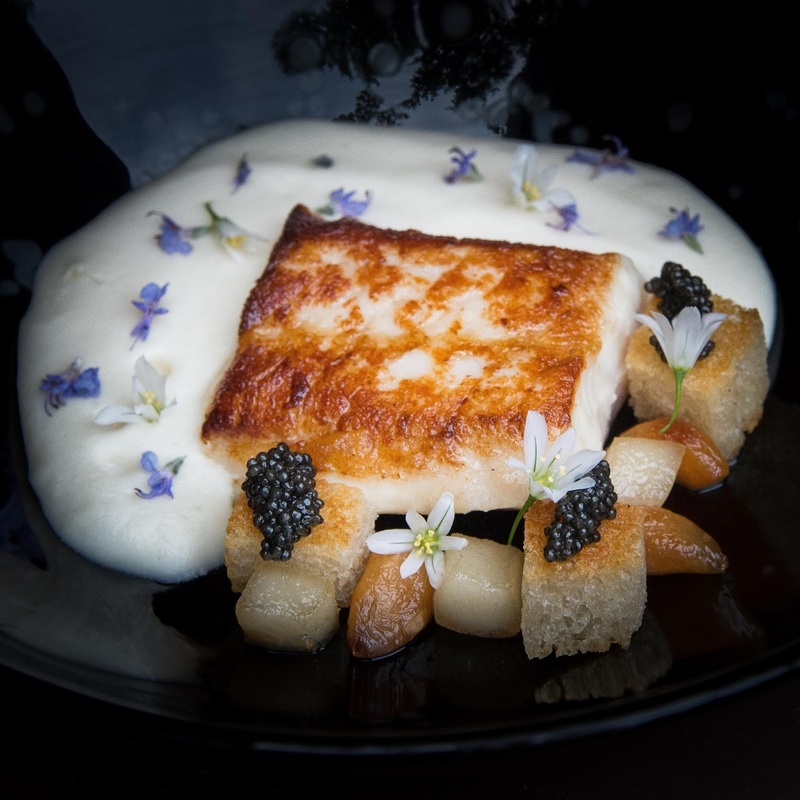 This dish is a new interpretation of two very classic flavors- potatoes and caviar. We start with whole sturgeon from Northern California and brine the filets with sea salt and milk. Sturgeon are bottom feeders and line in muddy river beds- this overnight brine in milk helps to pull our some of the blood and create a more more clean flavor. Once the sturgeon filet has been milk-brined overnight we sousvide it with smoked butter and a pinch of rosemary leaves before quickly roasting it in a pan. I wanted this dish to be simultaneously luxurious and comforting. The base of the plate is aerated potato puree topped with wild onion blossoms and rosemary. We finish the dish with iberico lardo roasted down with whole cloves of garlic and sourdough bread and a few generous spoonfuls of caviar.